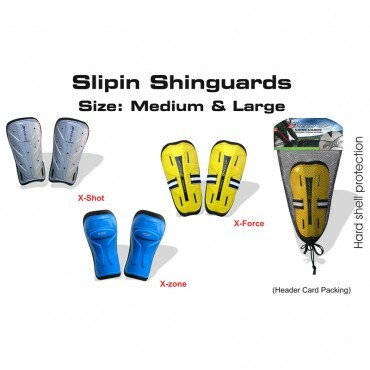 Thick Transparent Shell for Maximum Shock Absorption Polycarbonate Shell Material Ideal for Senior..
Shin guards Slip in are as much a part of the players uniform as cleats or a jersey. A required pi..
Made of Polypropylene Shell EVA Foam Padding..
Shin guards Slip in are as much a part of the players uniform as cleats or a jersey. A required piece of equipment, it can be hard to decide which shinguard is right for you. For example, a midfielder may not require the same type of guard as a forward. A youth player will not wear the same type guard as an older player. Type - Shin Guards Slip In.